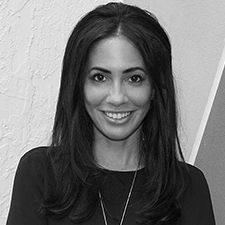 Jordana L. Jarjura serves as general counsel at Gulf Building LLC, and advises the company on all legal matters, including management of outside counsel. AV Preeminent Peer Rated by Martindale-Hubbell since 2010, Jarjura draws upon her significant land use and local government law experience to assist with Gulf’s pursuit and management of government projects as well as to advise Gulf’s private sector clients on their entitlement and permitting goals. A former Director of Tripp Scott and Partner in Conrad & Scherer, Jarjura’s private practice focused on procurement, government contracts, land use, and local government regulation. Her most recent development approvals included: site plan approval for a 175-room hotel; site plan approval for a 6-acre, 850-unit mixed-use development; and site plan approval for a 210-unit luxury apartment building which included the negotiation of several agreements related to the property’s 99-year ground lease with Broward County. Notably, she assisted with the successful defense of the largest shipyard in the U.S. against improper regulation by multiple government agencies at the local and state level, and she assisted with the representation of the historic Stranahan House at the local government level, before the Fourth DCA and in seeking Federal legislation for its preservation. Jarjura is the former Vice Mayor of the City of Delray Beach, where she served on the Commission from 2014 to 2017. She also served on the South Central Regional Wastewater and Disposal Treatment Board, the Palm Beach County MPO, the Delray Beach Planning and Zoning Board, and the City of Fort Lauderdale Beach CRA Advisory Board. She currently serves as a member of State Attorney Aronberg’s Sober Homes Task Force and is in Leadership Florida Class XXXV. Jarjura has a BA from the University of Florida, a certificate in French from the Collège International de Cannes, a JD from Pepperdine University’s School of Law and a MBA from Pepperdine University’s Graziadio School of Business and Management.